File sharing is software or a system that allows individual users of the Internet to connect to each other and trade files. Why should you disable and not install or use file sharing applications? File sharing can enable others to access your laptop without your knowledge. 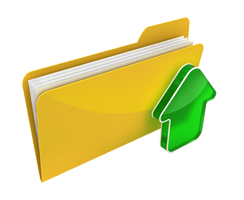 Others can look at your files and copy information from your laptop to their system. They can access private information or place a virus or malware on your system. If you disable file-sharing, you reduce a known risk to data on your mobile device. How can you disable a file sharing application? When your mobile device has a file sharing application, the process of disabling file sharing is specific to the type of operating system your laptop uses. You will need to research your laptop’s operating system to find out how to disable file sharing.